We want an advantage. We’re not cheating, but we’re going to look high and low for the little tricks, the whispered tips… the simple hacks… that will put us over the top. We do so because we know that it’s in those simple things, the tiny overlooked tool, the slightly out-of-the-way feature, that’s where we’re going to set ourselves apart. 1) Send Followers to Your Website with a Call to Action. One of the interesting additions to your Facebook Company page is the ability for you to add a “Call to Action” in your banner image. 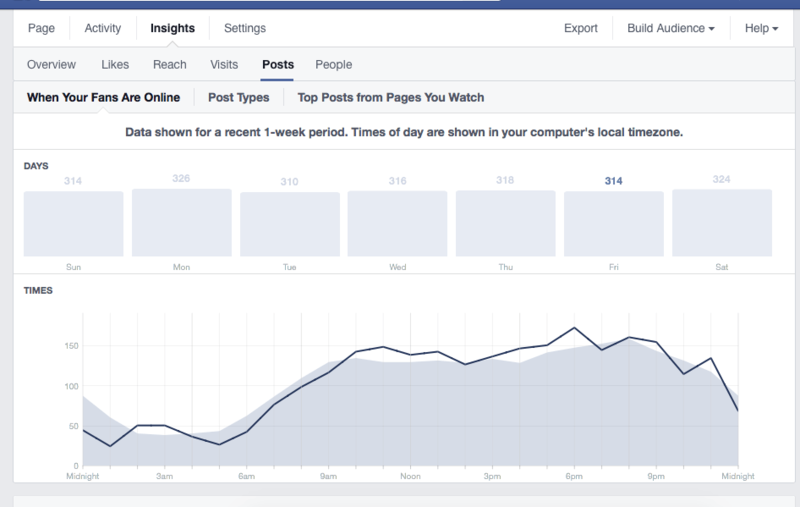 Facebook is pitching this tool as a new way to connect with followers. Based on reports from Dollar Shave Club who performed a trial, it worked. Their conversion rate more than doubled. There you have your (admittedly limited) options to give your followers: “Book Now,” “Contact Us,” “Use App,” “Play Game,” “Shop Now,” “Sign Up,” or “Watch Video.” Apparently a “Donate Now” is or will be available, but only to limited companies. It links directly to any website you enter, even allowing a separate site for mobile users. 2) Upload your marketing videos directly to Facebook. 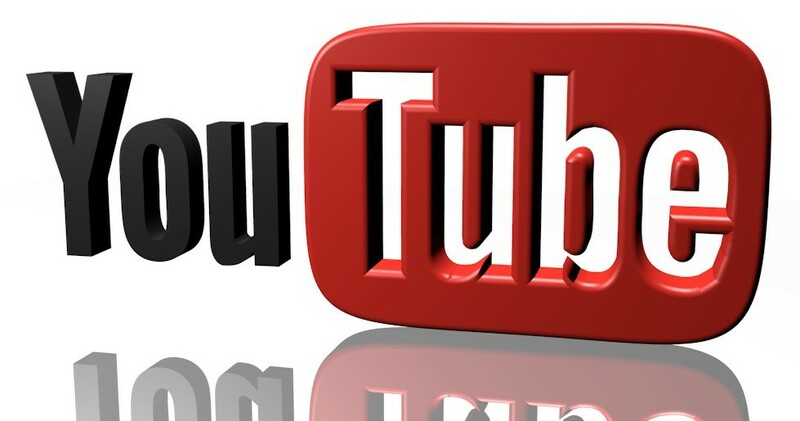 Do you use video in your social media marketing? If not, I suggest you check out this post. If so, what is your preferred platform? It used to be that all videos had to go through YouTube or Vimeo. Hosting video on your law firm website or a personal site was just begging for problems with your host, and the video didn’t look terrible on Facebook. Well, an interesting thing happened a little while ago: more videos were watched on Facebook than on YouTube. Because Facebook started hosting videos. If you use videos in your marketing, there are numerous advantages to posting your video directly to Facebook. First and foremost, it gets preferential treatment. In the era of disappearing organic audience, the importance of preferential treatment cannot be understated. Oh, and if you want to take advantage of the auto-play feature, this is the only way to do it. 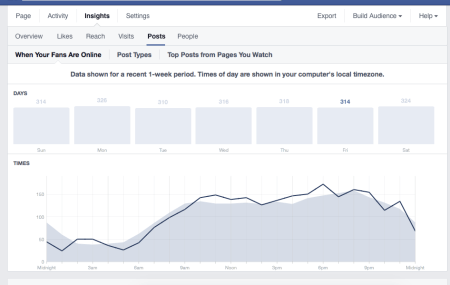 3) Find Out the Best Time to Post Using Facebook Insights. There’s no reason to post when nobody will see it. With the decline in organic audience, you can ill afford to further reduce organic reach by posting when your audience isn’t online. There are a ton of opinions about when the “best” time to post is, but in reality, it depends on the audience. The report is missing some important metrics, and doesn’t factor for how engaged your audience is when they’re online. However, knowing when your audience is likely to see your post is important. Use what you know about Facebook too. If your post has a life of 2-3 hours, post a little before when your peak audience will be online. 4) Keep Notes and Set Reminders For Your Contacts. Hey, LinkedIn is a professional social media network. For lawyers, the primary reason for spending time on LinkedIn is to connect with other lawyers. While most sales people probably have a really complex CRM system, most lawyers have either Outlook or a practice management system. You can set a single reminder, or a recurring reminder. Perfect for making sure you are regularly checking in on important colleagues or clients. 5) Boost Your Posts by Asking a Question or Linking to a “Top 10″-style list. A recent study by LinkedIn on effective use of company pages found that certain types of posts get considerably more interaction (likes, shares, comments) than others. While this has been known and accepted for some time for personal accounts, this is the first significant evidence that followers react similarly to company posts. The study found that a post containing a link to a “Top” list containing the numbers 3, 5, 10, 25, 30, 50, or 100 (whether numerical or spelled-out) received 40% more interaction. The report also encouraged asking your followers for feedback. Posts containing questions received 50% more comments than those without. 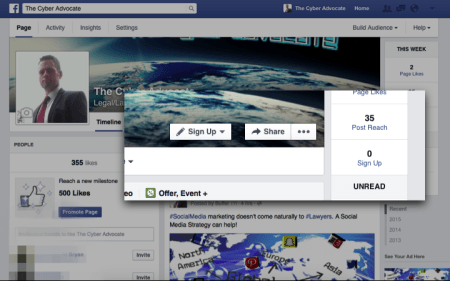 6) Double Your Company Page Followers by Adding Showcase Pages. 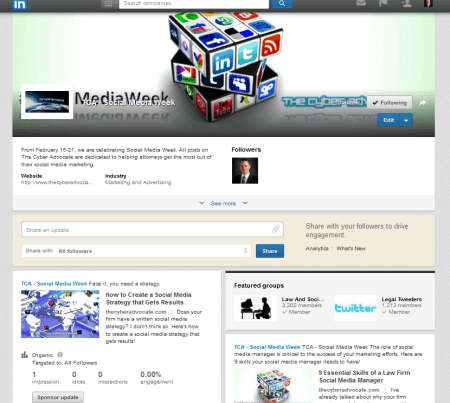 One of the great tools available for companies on LinkedIn is the Showcase page feature. 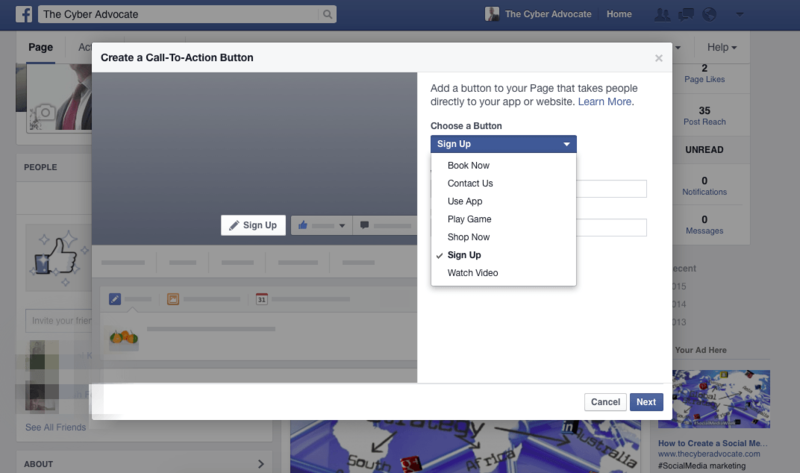 A sub-page from your primary page, you can feature information about a certain part of your company. Given the structure of most law firms – divided by practice area – Showcase pages are tailor-made for law firms’ social media marketing. And, as it turns out, there’s another reason to create detailed, complete Showcase pages. 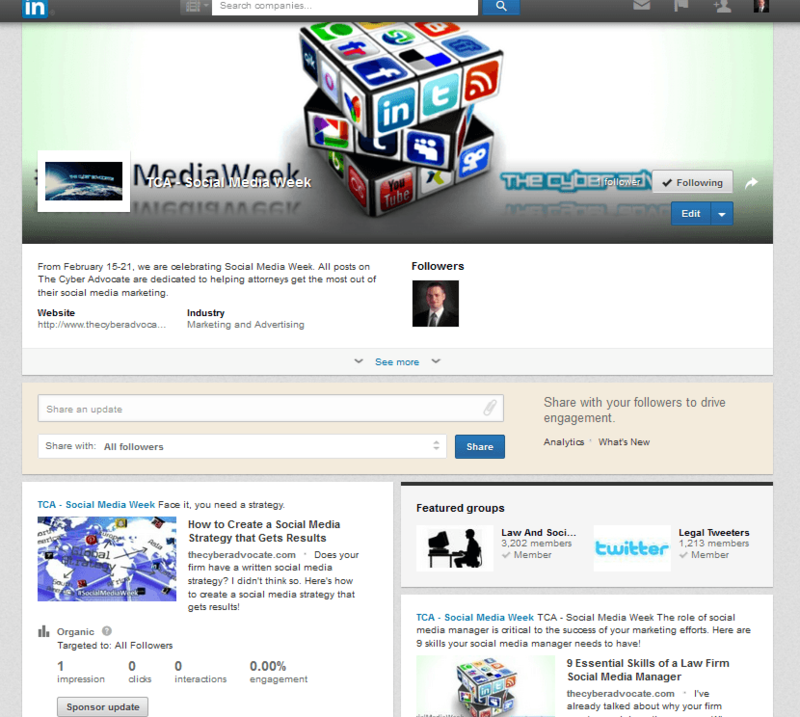 Companies with Showcase pages average double the followers of those that don’t. 7) Make Your Company Updates Stand Out with Rich Media. 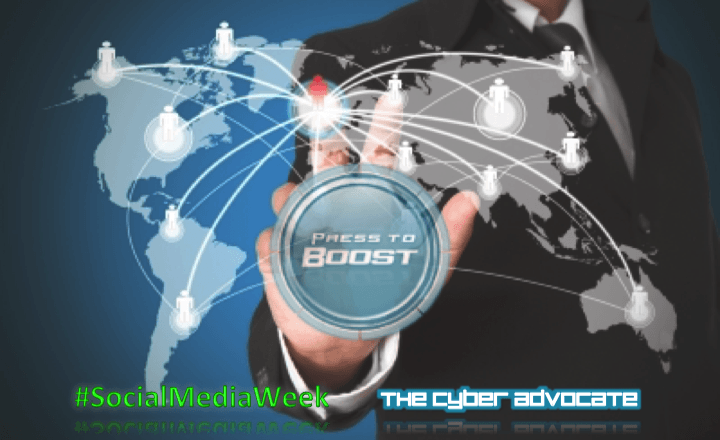 Most companies’ social media marketing consists of updates in the form of links or text. While links are definitely better than just plain text as far as drawing interest, images, movies and SlideShare presentations are much better. As in nearly 100% better. 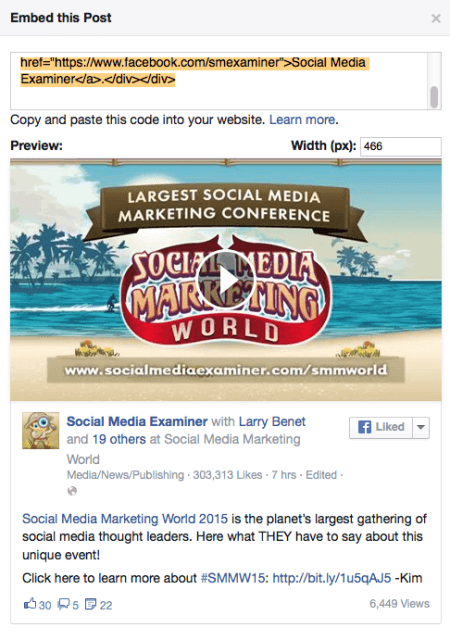 The engagement/comment rate for rich media posts vs. other posts is almost 2 to 1. Not only will they stand out in your news feed, they can take a key position on your Company Page, hopefully shared by your employees. Pin the best to the top of your Company Page, or respective Showcase Page. 8) Embed a SlideShare Presentation in Your Tweets. Not long ago, Twitter made a shift towards more visual content. One of the most interesting, yet in my experience seldom used of these modifications was the ability to embed slideshows right in your Tweets. With the full integration, now your followers don’t have to leave their Twitter client to be able to fully interact with (and hopefully share) your presentation! 9) Make Monitoring Twitter Easier by Creating Lists of Key Groups. Keeping up with Twitter can be daunting. So many Tweets, so many people. Moreover, since it’s all one big collective stream of information, you have to mentally self-sort. That’s where lists are a great tool. Oh, another added bonus – by making key influencers a member of a public group, you’re letting them know you value their content. And others can subscribe to the list as well, dramatically increasing your influence. 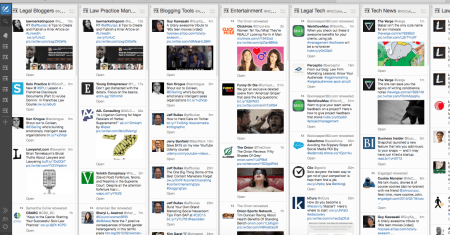 10) Delegate Twitter Responsibilities Among Your Team with TweetDeck Teams. Your social media manager has a tough job – creating content, scheduling posts, and monitoring your firm’s social networks to curate content and engage with customers. TweetDeck Teams allows you to delegate the most time-consuming elements – curation and engagement. 11) Add a Link to Your Profile So Your Audience Can Find You. There is one place on Instagram where you can put a click-able link – your profile below your bio description. Other than this link, your followers can only rely on your brand name to find you elsewhere, so use this space effectively. You can change the link at any time, but make sure it’s pointed to where you want to direct your followers. Change it up – one month, send them to your subscription page. Another month, focus on connecting your Instagram followers across platforms by linking to your LinkedIn page. 12. Repost Great Images You Find on Instagram. 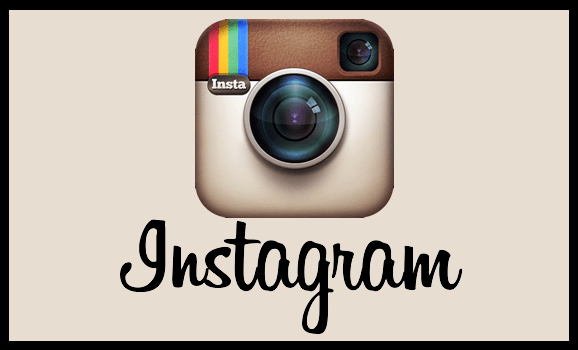 Instagram allows you to “Like” or “Comment” on an image. But what if you find a particularly great image comes up? You are going to have to step outside the app. Fortunately, there are apps like Repost for Instagram and Photo Repost. You can either repost directly, or, download them and repost with an overlay, giving appropriate attribution to the original poster. 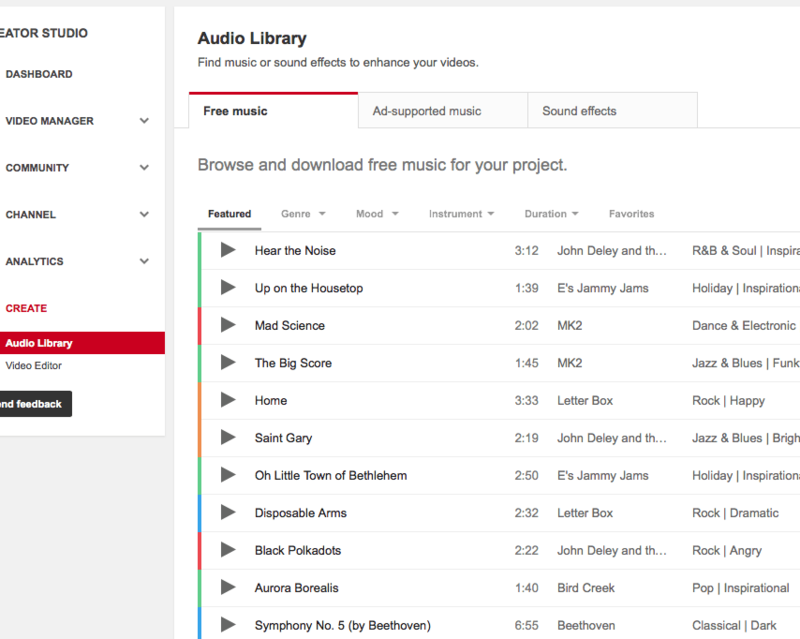 13) Add Background Music to Your Videos with YouTube Audio Library. If you’re at all like me, one of the more annoying parts about any video is that, regardless what steps I take, someones damned copyrighted song is playing in the background. All of a sudden warning lights go up, and that nice man from the DOJ comes to visit me again. 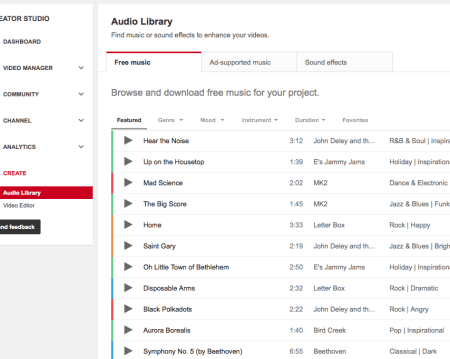 Fortunately, YouTube Audio Library has a massive collection of totally free music and sound effects to go into your video. In fact, they have a pretty massive selection of ad supported music, but you need to beware of any restrictions. For example, you can’t monetize, and the rights can change anytime. (For example, Uptown Funk is actually blocked in 244 countries. I didn’t know there WERE that many countries!). The right music can be the difference between a good video and a great video. If you’re in this to market yourself and your firm, why bother with good? 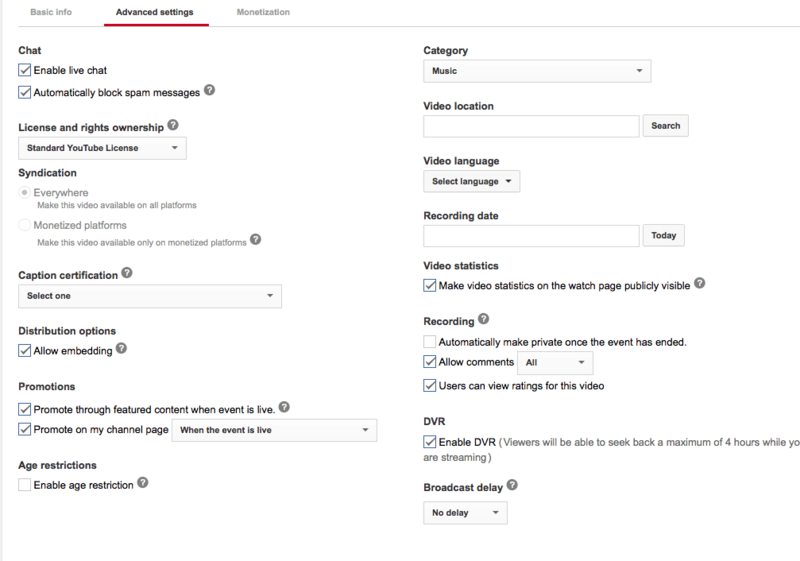 14) Engage With Your Audience in Real Time with YouTube Live Events. Okay, by now everyone knows what Google Hangouts is. But recently, Google launched a separate service called YouTube Live Events. With it, anyone with YouTube accounts in good standing could conduct broadcasts over the system. The advantages? It’s a much more professional system. With a ton of options not available to users of Hangouts, you get the ability to coordinate multiple cameras, and choose your encoder. 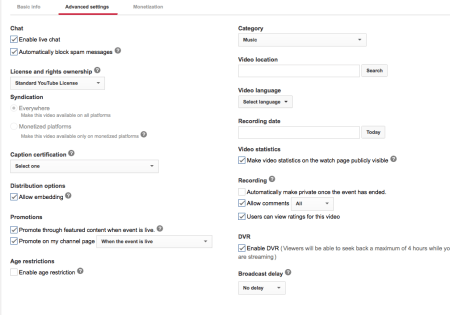 Run through YouTube’s Wirecast system, you can even add live closed captions and view real-time data.